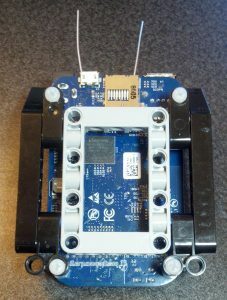 BeagleBoard.org has just released a new product called the BeagleBone Blue. 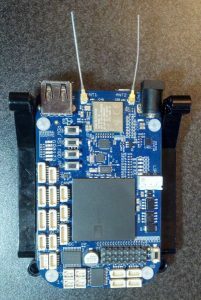 It has the same processor as a BeagleBone Black, but is designed specifically for robotics and includes built-in Wi-Fi/Bluetooth, an accelerometer and motor controllers (and more). 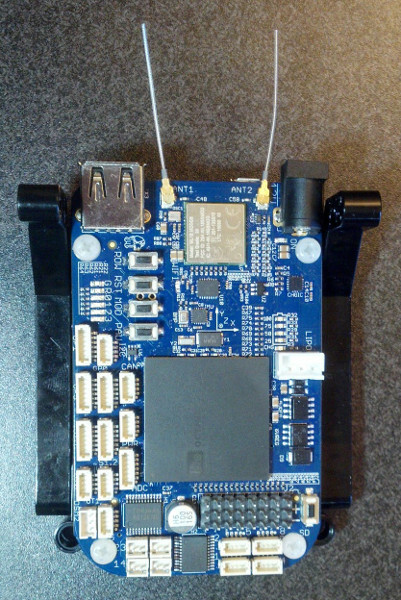 I was fortunate enough to get my hands on a pre-release Blue when I met the BeagleBoard gang recently at the 2017 Embedded Linux Conference in Portland, OR. 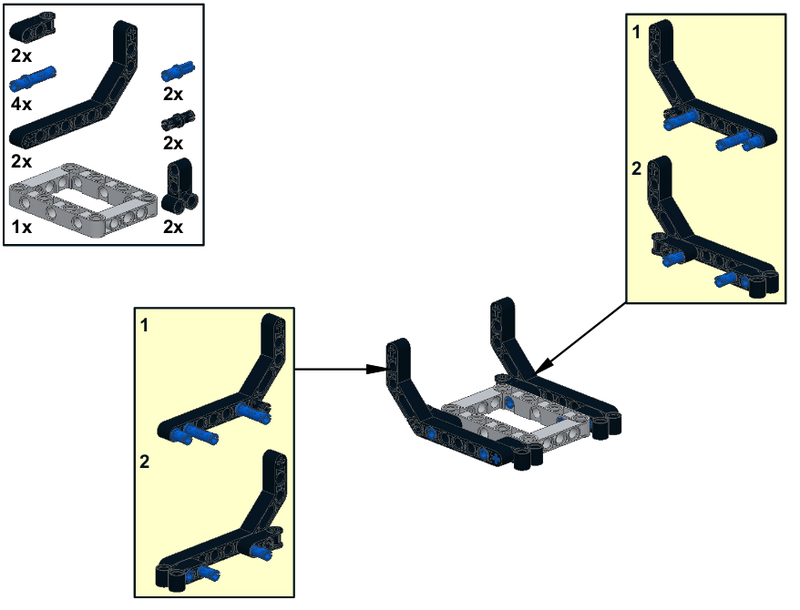 So, of course I had to hook it up to my LEGO Mindstorms stuff to see if it would work. It is actually the same width as the NXT and EV3 bricks but is a bit smaller in the other dimensions. To attach the Blue, I picked up some nylon M3 screws and matching standoffs. I went with nylon so that it wouldn’t tear up the plastic on the LEGO parts and because it would flex a bit since the holes don’t line up exactly. I used 8mm standoffs because that is very roughly the same as the width of a LEGO technic beam. 10mm or 12mm screws will work for passing through the LEGO technic beams. 4mm screws would be ideal for the BeagleBone side, but I couldn’t find any that short, so I cut off some longer ones. Tip: since the holes don’t line up, get the screws started on both sides of the standoff before tightening them all the way. Now you can make anything with your BeagleBone Blue!